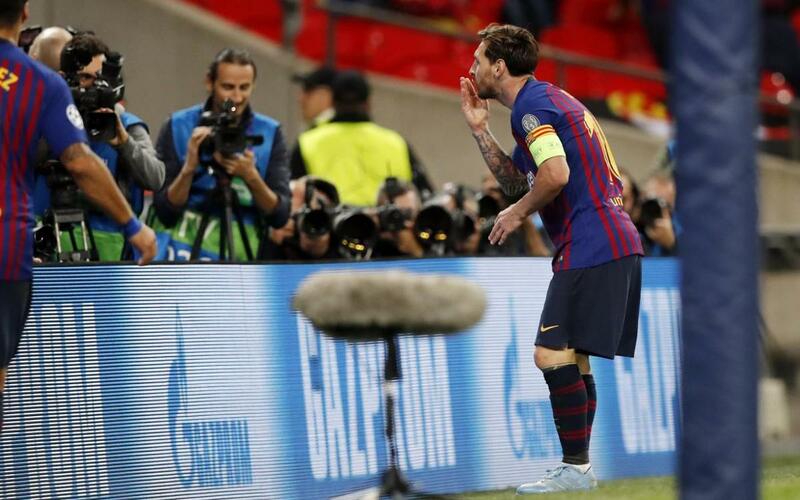 Lionel Messi was on fire at Wembley. He scored two goals and also hit the post the same number of times in a performance that will be remembered for many years to come. We’ve picked out five key factors behind his master-class in football. We were just 86 seconds into the game when Messi was in the centre circle and spied Jordi Alba making a run down the left. His penetrating pass left the Tottenham defence floundering and moments later, Philippe Coutinho was making it 1-0. This was the first of two successful through balls from Messi – none of the other 27 players on the pitch were able to replicate that. We all know that Messi and Alba have an almost telepathic understanding. Both of the former’s goals came from the latter’s assists. That’s 16 goals that Messi has scored over the years off Alba passes. It’s also the number of passes that the duo made to each other at Wembley. It wasn’t only about Messi. The whole team worked together to create pressure high up the pitch and the fourth goal typified that, and came just minutes after a similar move that saw rival keeper Hugo Lloris caught off his line. As Jordi Alba said after the game: “When Messi runs and defends like he did today, what can you do? Well, run like him.” The greatest player in the world looked especially motivated on Wednesday evening, covering over 20 kilometres. And when Messi is performing at his best, it’s infectious. There are days when the team finds it difficult to get Messi involved. He gets marked out of the game and frustration sets in. Not so at Wembley, where he got the ball 96 times, almost always in the opposition’s half. Only Jordi Alba, with 107 touches, was statistically more active.